Beautiful horse and landscape photography to inspire joy, wonder, and appreciation in your daily life. Scenes from our Wisconsin farm and small town living. 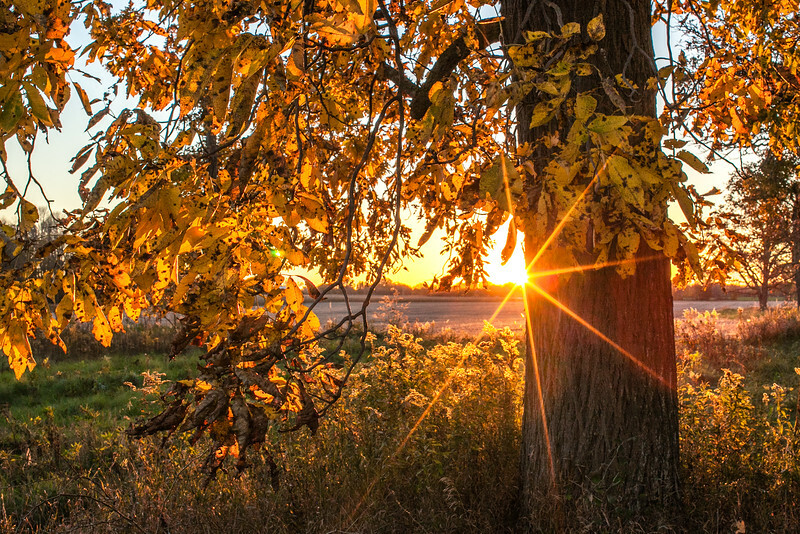 A sunset starburst and a shagbark hickory tree on our farm.